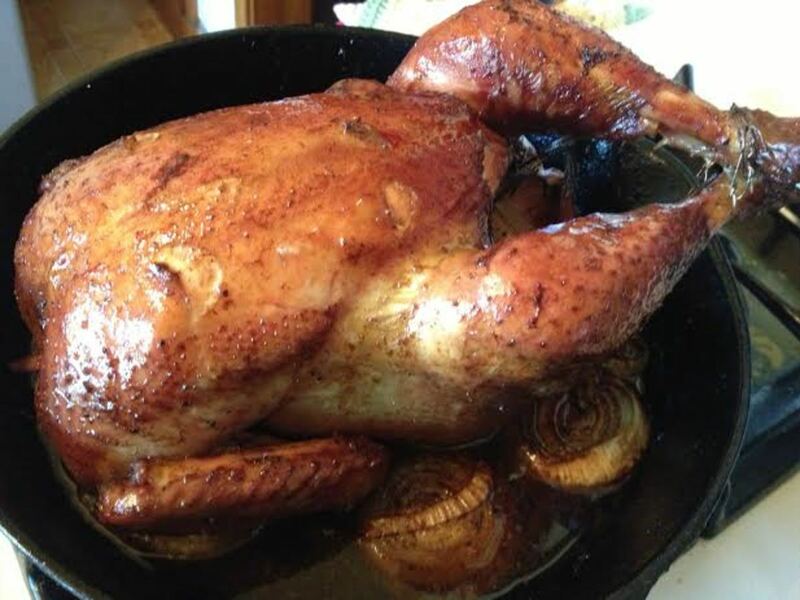 In a previous hub, "The Things You Can Do With a Rotisserie Chicken", I talked about how versatile store-bought rotisserie chickens are, and how they can be used in quick and easy recipes to make delicious and nutritious meals. Watching the chicken cook on the BBQ rotisserie is extremely satisfying and helps build a great appetite - the aromas are simply heavenly! The type of marinade or rub that you use for your rotisserie chicken really depends on your own preference and what kind of flavour you want to achieve. There are many different types of marinades and rubs available to try, including Chipotle, BBQ flavor, Spicy Jerk or Classic Chicken Seasoning, to name a few. Spicing up your rotisserie chicken with a new and interesting flavor will really give it an exciting edge over a standard store-bought one. 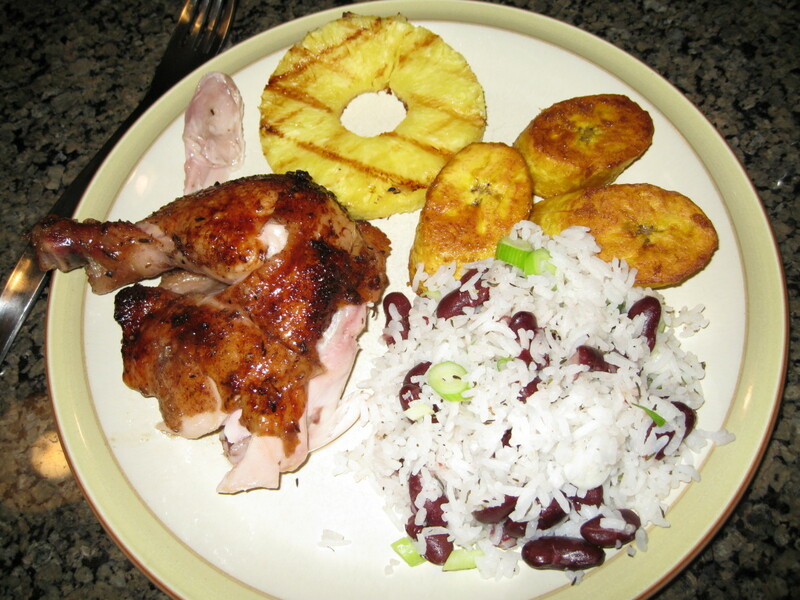 In my example, I used a Spicy Jamaican Jerk Marinade because I wanted to create a Caribbean style menu, with side dishes of rice and beans, fried plantain and grilled pineapple slices. I simply put my whole chicken in a bowl, poured over about 1/3 of the bottle of marinade, covered with cling wrap, and then refrigerated for several hours. If possible, try to marinade your chicken overnight, but if you don't have that much time then aim for 2-3 hours minimum. While the whole chicken is finishing marinading in the fridge, it's time to set up your equipment. If you want to add some smoke into your rotisserie chicken, then you will need to prepare a couple of smoke packs, using aluminum foil and wood chips. 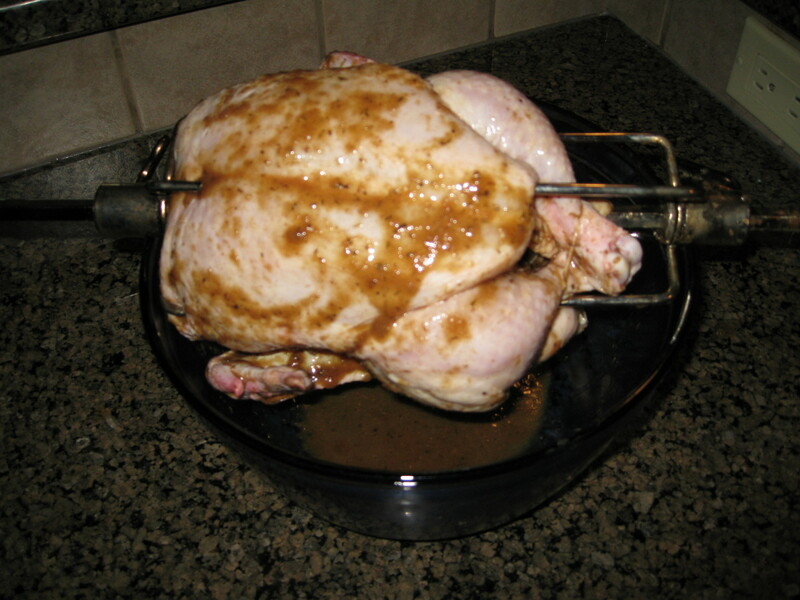 I used mesquite wood chips for my Spicy Jerk rotisserie chicken featured here. Read my hub "The Best BBQ Ribs You Will Ever Eat" for quick and easy instructions on how to prepare your smoke packs. If using smoke packs then lay one of them on the left hand side of your grill, which will be your direct heat side. On the right side of your grille, which will be your indirect heat side, arrange a foil pan half-filled with water. 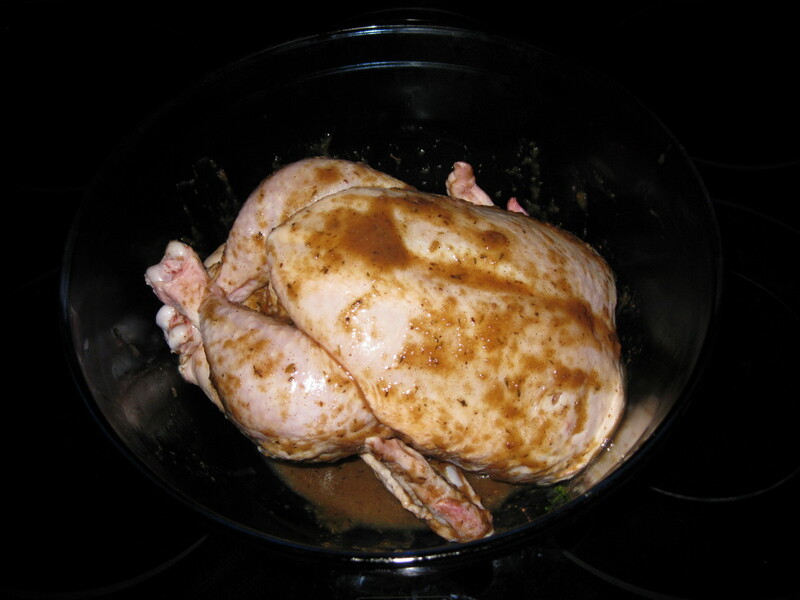 The water will turn into steam during cooking which will help to keep the rotisserie chicken moist and tender. The foil pan is also important because it will catch the grease and prevent any flare ups. Turn the left burner to high, and keep the right burner switched off. Preheat the grill to 375 degrees Fahrenheit for about 15 minutes. Slide the prongs of the BBQ rotisserie into each end of the chicken so that it is aligned with the setup of your grill, for indirect heat. Then, simply lift the barbecue lid, mount the BBQ rotisserie onto your grill, and do a quick check to make sure that it is perfectly aligned, and that there is enough room for the chicken to turn freely. 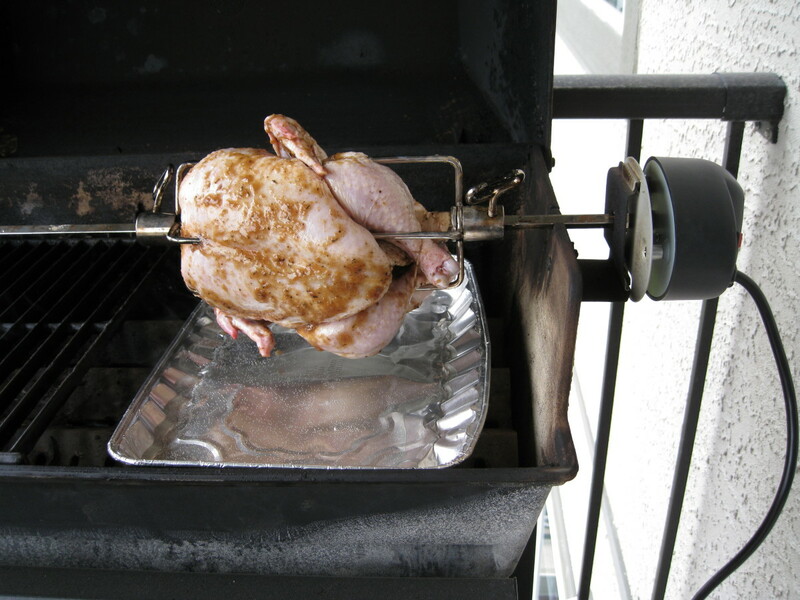 Then, switch on the BBQ rotisserie and your chicken should begin to turn happily on the spit. 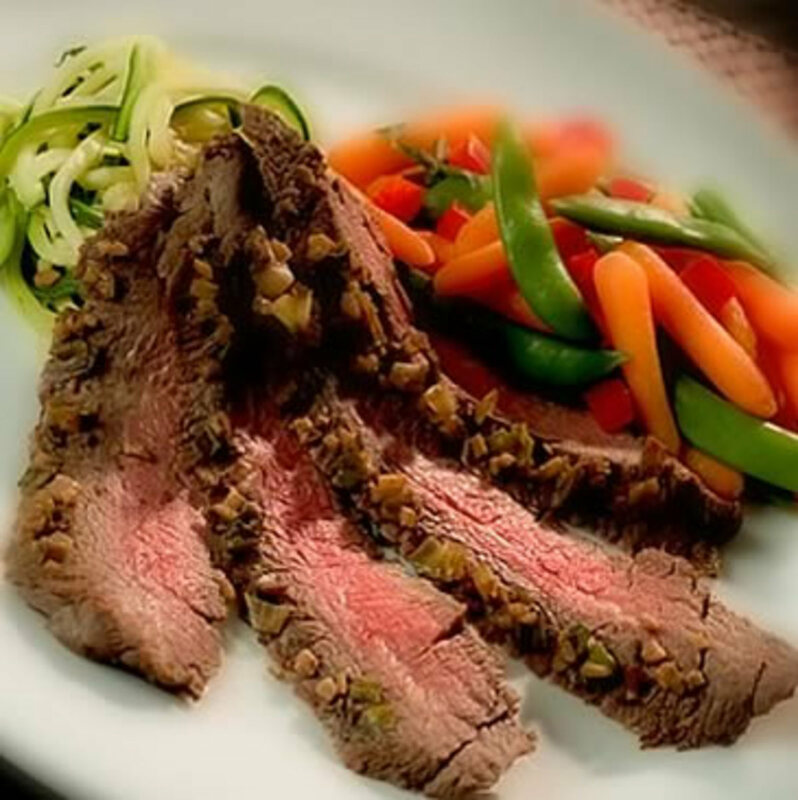 Close the lid and maintain a temperature of 350-375 degrees Fahrenheit for the duration of the cooking time. Halfway through the cooking time, put on a new smoke pack if required. A 3lb bird will probably require a minimum of 1 hr 20 mins cooking time in total. You can always adjust this time if you are grilling a larger chicken. Check the progress of the chicken's doneness by pausing the rotisserie and inserting a thermometer into the thickest part of the breast. When the internal temperature reaches 180 degrees Fahrenheit, remove the BBQ rotisserie from the grille and transfer it to a temperature resistant surface. Do not attempt to remove the metal prongs right away because the BBQ rotisserie will be extremely hot! Tent with foil for at least 20 minutes, and then use oven mitts to remove the metal prongs. 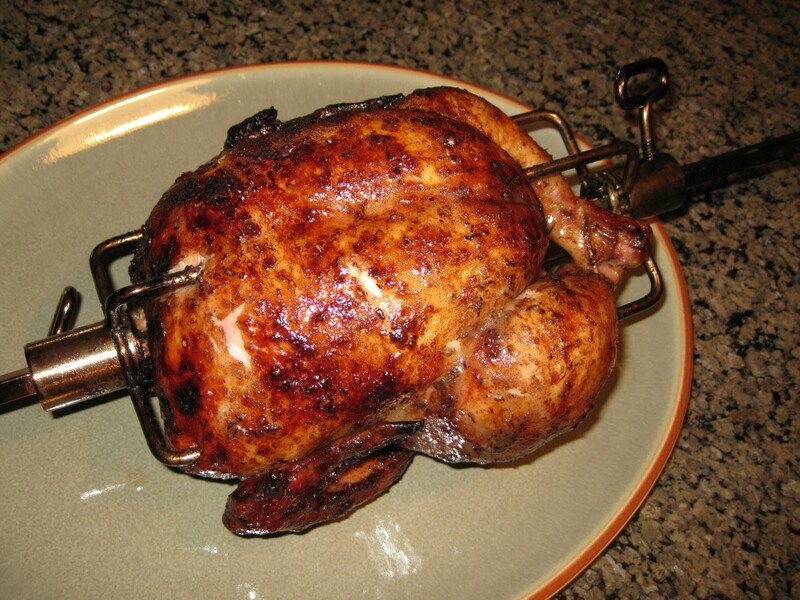 Now you are ready to serve your delicious homemade BBQ rotisserie chicken! 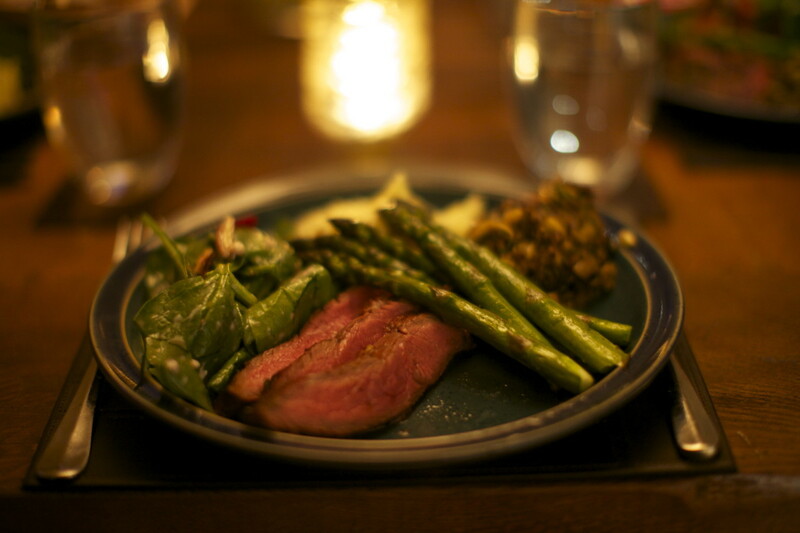 It should be so tender and juicy that the meat will simply fall off the bone. Enjoy! Cayman Island Rum Cake for Dessert? was reading this while mouthwatering and imagining am having a bite, what a delicious meal cant wait to try it out. Hi ktrapp, if I didn't have to work then I would be cooking and baking all day every day I'm sure :-) I think we'll be making the pizza next weekend so just come on over and indulge in a slice or two! I always enjoy reading your comments, thanks for your vote, too. Hi prasetio30, I hope your mom enjoys this recipe, thanks for your comment and votes! Hi cre8iveOne, you're so welcome! Thanks for commenting and have a great day. It is so obvious you and your husband love to cook. I wish I had more time and was better organized. I still have all the ingredients for your pizza recipe that I was going to make. In my defense I have been waiting for a sunny day so I have a warm place for the dough to rise. That always seems to work best for me. This chicken looks wonderful. Actually the entire meal does. I am bookmarking this for sure ...voting up. Wow...it sound delicious. You make me hungry, my friend. But I really love your tips and nice video as well. I should share this with my mom. I believe she will love this information. Good job and vote up! Rosemay, I'm quite envious of you down there in New Zealand, knowing that you're warmer weather is just around the corner! My hubby still BBQs in the winter here, even if it's -30. (I let him, too LOL). I have never done a whole chicken on the BBQ before but this looks yummy and easy. Just pulled our BBQ out of storage ready for the warmer weather. Hi Seeker 7, the grilled pineapple really works well with this recipe. Let me know how it turns out for you! OMG! This chicken looks wonderful!!! I particularly like the idea of the cooked pineapple - I've never tried that with a chicken dish but it sounds delicious. I really will have to have a go at this it's just too yummy not to give this a try!! 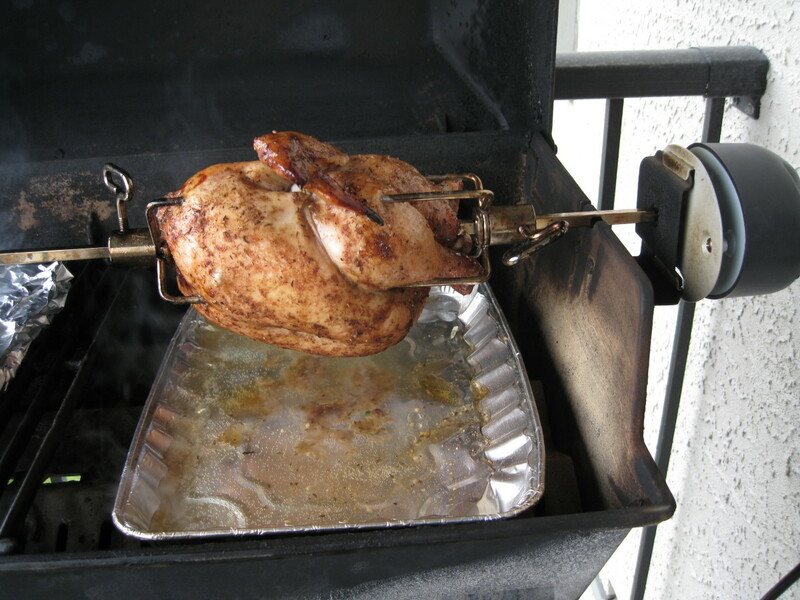 A BBQ rotisserie is a great investment but if you don't own one then you could always try butterflying the chicken in half and then grilling it on direct heat. I have tried that before and it works out quite well! there are some great ideas here. I love the idea of roasting the pineapple too, it's a fruit i use often in cooking. I don't have a rotisserie, so I may have to improvise. Cloverleaf! My goodness, what a delicious looking hub! I have had rotisserie chicken, of course. Now it's time for BBQ Rotisserie! Hey, hey, hey! Voted up, up and away! I'll be hoppin' the plane with your mum and will come over. I bet you are an awesome cook! 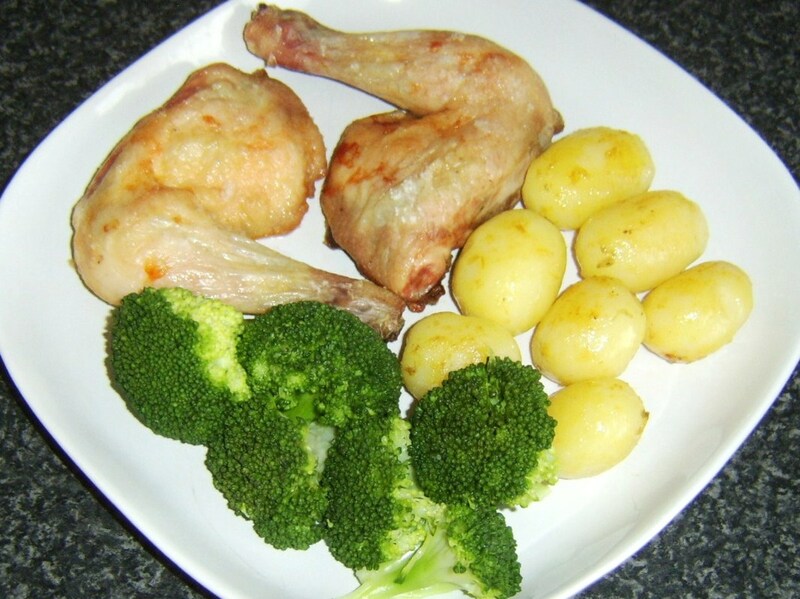 I have never roasted a whole chicken, but I'm sure that it is an amazing taste! Thanks for the detailed information and pictures. Please don't talk about cold. It's almost 90 degrees here. Thanks for your vote - you're so good to me! Hi Susan, how was lunch? Sorry for making you so hungry. I hope you enjoy trying out your rotisserie on the grill before the weather gets too cold! Hi Jackie - aw your cat gets treats too, that's so cute! That's a good point about being able to control the salt content; you never know how much salt they add at the store. I'm not sure if I'm going in on November's contest yet - poetry and creative writing is a bit over my head LOL. Hi Cogerson, I'm sure you would have no difficulty at all with this, the hardest part is taking the bird off the rotisserie and I get my hubby to do that bit :-) I really enjoy how the flavour gets into the meat and it is just OH SO tender and juicy - thanks so much for voting up! Hi habee, it smelled pretty incredible, I can tell you! Cheers for the vote up and comment! Hi thelyricwriter - that's so funny, I can't wait to hear whether you got the chicken, the ribs - or both! I appreciate all your very kind comments, you are such a great person and very supportive to me here on HubPages. I look forward to reading many more of your own hubs! Wow Cloverleaf, that chicken looks cooked to perfection, I wish I had been coming to dinner! Cloverleaf, thanks for the idea I was struggling today to think what I would for Dinner, yeepie. You have me in trouble again, Cloverleaf! Who can read this without doing something about it? And we have already had our main meal of the day. Guess I will have to be satisfied with BBQ chicken-dreams for tonight and leave the 'doing something about it' part until tomorrow. Off to bed now... Voted up as always! I never used my rotisserie this year and after seeing your hub I think I will before the snow flies. I love Jerk chicken but have not tried to make it myself. Your hub has made me hungry so I had better go get some lunch. Wonderful hub! We really enjoy rotisserie chicken but haven't cooked any for a while but now that I just saw your mouth watering pictures I am up to the task. Thanks for the instructions. I fix our own and a whole chicken for just the two of us means meals for two days and left overs for chicken salad or added to a soup after it has cooked. I don't waste a scrap and our cat loves scraps I pull off with skin or fat and she needs it she is so skinny and picky, so it is a special treat for her too. I find them on sell and pop them in my freezer. I think roasted chicken has become a favorite with us and we save at least $3 and not eating a box of salt (lol) fixing our own; besides those wonderful memory making aromas! Great work again girl! Are you getting in the poetry contest in Nov? Excellent hub...with lots of great information that sounds like even I could accomplish.....your hub has me thinking about what's for dinner at 10 o'clock in the morning. Voted up and useful. I can almost smell the chicken! Looks and sounds awesome. Voted up! You have just made me hungry... and I just finished eating not too long ago. 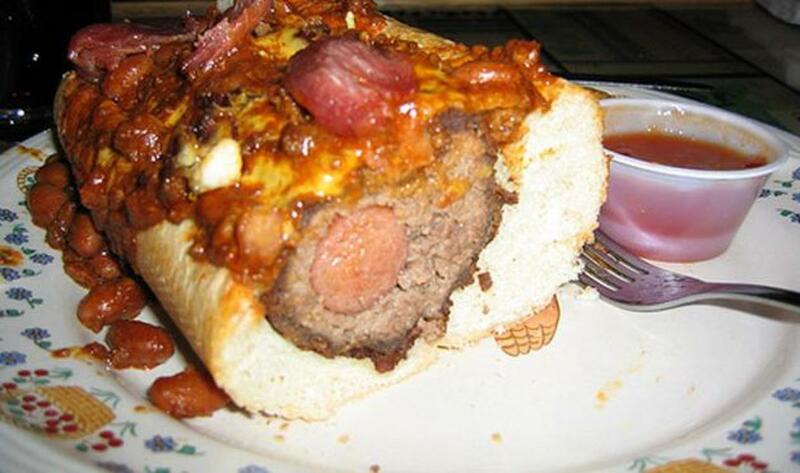 However, we have yet to purchase a grill since we moved so I fear I will have to try this later. Great hub! Hi moonlake, sometimes it's certainly more convenient to buy rotisserie chicken at the store, which I often do during the week. Making soup is an excellent way of using up the leftovers. Thanks for your vote! Oh Cloverleaf, this rotisserie chicken looks delicious! That's too much work for me.. I just buy Swiss Chalet. But you did a great job.. very easy to follow instructions. Cheers! How yummy! I looked at your picture of your supper and what it was and kept looking for something that said coconut. And I wasn't finding it. I decided to pay more attention and what I thought was coconut was rice! Finally got my brain connected! I wish I had a rotisserie! I too Love Rotisserie Chicken, and like Moonlake...I now buy it...especially when it's on sale, and you can do so much with the left overs...like chicken and rice or chicken stew, to name a few. I too voted it UP, and useful, as well as an Interesting Read Cloverleaf. 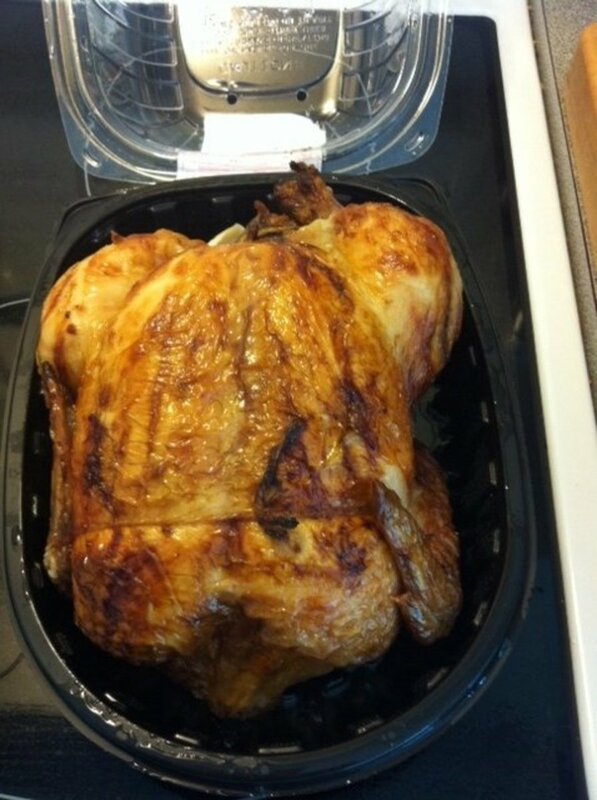 Love rotisserie chicken. 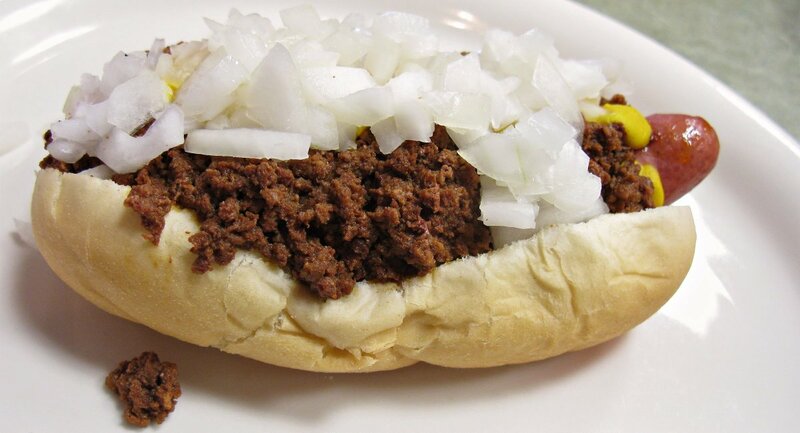 We use to make it on the grill all the time but now that it's just us, we buy it. I use it for everything. Yesterday I made soup with the left over rotisserie chicken. Good hub with good information. Voted UP.